Is a better and safer night’s sleep for your bub (and you as well) on your parenting wishlist? A cosy, safe and secure sleep for baby starts with Cozitots, a range of adjustable fitted coverlets for cots, bassinets and cradles. Sleep and infants often don’t go hand in hand. While in theory newborns and babies are meant to sleep up to 17 hours in a 24 hour period, many babies don’t get this memo, especially not new ones. Many wake frequently due to the startle reflex, the temperature being too hot or too cold or the blankets getting tangled. They also may wake because they don’t feel secure or realise they are not next to you. Cozitots can change all this. The Cozitot is an adjustable fitted coverlet that comes in sizes to suit cots, bassinets and cradles – it also fits toddler beds, portacots, pram carrycots and side co-sleepers. The pure cotton coverlet is Australian made and uses the safe ‘short sheet’ sleeping practice as recommended by SIDS and KIDS. It can be adjusted to the height and width required to achieve the perfect fit for your little one from birth to three years. 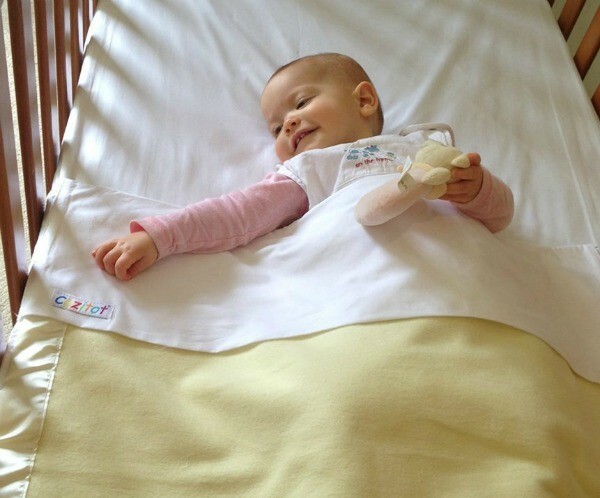 Cozitot coverlets help to reduce the risk of SIDS because they are fitted and secure, minimising the chance of blankets coming loose and covering the baby’s head or entangling around the baby. It also helps reduce other risk factors associated with SIDS, such as overheating or being too cold. 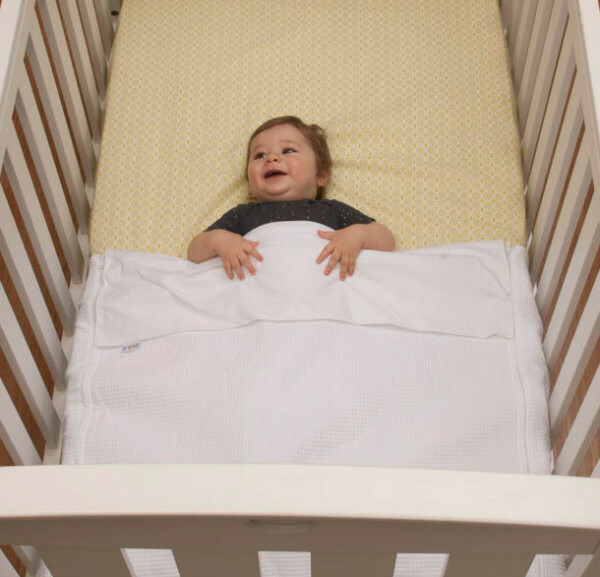 Cozitot coverlets can help baby get a better night’s sleep because they are kept snug within the coverlet, lessening their chances of waking up due to the startle reflex as well as from rolling around or bumping into the cot. Zipping your child up in the Cozitot can also become a major sleep signal for baby and help establish a good sleep routine. With the change in weather fast approaching, you may notice that when bub wakes up she is cold due to kicking the blankets off. Cozitots uses a patented coverlet that ensures the bedding stays in place, reducing the risk of baby waking from being too cold. 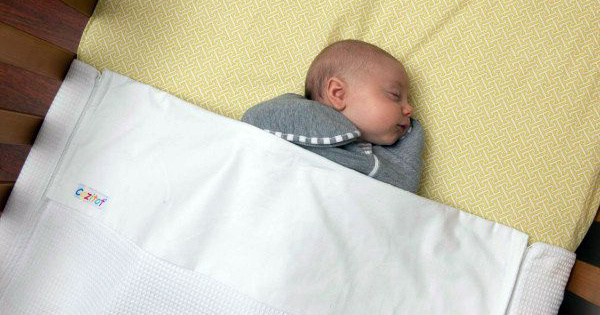 Cozitots also has a unique top-sheet fold allowing for easy and secure addition or removal of custom-sized Cozitot blankets, even while baby is asleep. The Cozitots range includes custom sized cotton liners that can be securely added into the top coverlets for additional warmth during the cooler months, perfect for the upcoming winter season. All children, whether one week old or two years old, want to feel safe and this is what Cozitot coverlets are designed to do. While babies may prefer to sleep in your arms, this isn’t always possible and it is also not the safest or most comfortable method to sleep, especially for mums. With Cozitots beautiful range of coverlets, you can give them the next best thing to sleeping in your arms – a cozy and comfortable place for baby to relax and recharge that is stylish to boot! Check out Cozitots’ wide range of blankets, quilts and coverlets, all designed to create a calming sleep space. They come in colours including unisex mint and lemon, as well as pastel pink and baby blue. You can pick up a cot or portacot Cozitot for $195 or opt for the cradle or bassinet Cozitot for $165. Cozitot baby quilts and blankets start at $25. Use Cozitot’s stunning range at home, out for a walk or away on holidays and rest easy knowing your tot is safe, secure and sleeping soundly with Cozitots.